If you would like to send an e-mail to your camper or see photos taken during their session please click on the image below. Remember to check back often for photos because they are updated daily! » Arrival: If you are dropping your camper off at camp, please plan to arrive between 11:30am and 2:30pm. » Drive cautiously: Please be very careful to drive slowly and carefully when driving up the mountain road. It is easy to forget the speed limit on such a beautiful, winding road, but there are children living along the road and neighbors walking at all times of day. » Luggage: When you arrive at the camp entrance, proceed to our main gate next to the maintenance buildings. Please inform the camp staff of your name and the name of the camper you are checking in. You will receive information on your camper’s Unit name and camper number. At this point, please separate your camper’s medical forms and swimming materials from the rest of his/her belongings; footlockers, trunks, and suitcases will be transported directly to your camper’s unit area. » Parking: Please park your car, as directed by our camp staff, to reduce impact and improve traffic flow. Our staff will be dispersed throughout the camp to direct you towards our check-in location. » Meet the camp directors: When you arrive at the check-in location, you will meet our Camp Directors and Intervention Specialist. It is at this point that you will receive information on your camper’s cabin assignment. 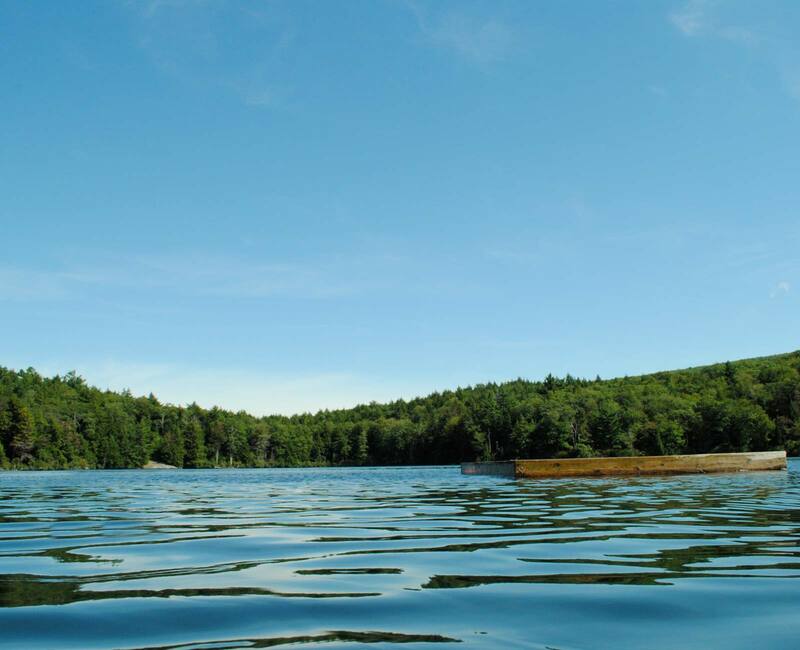 » Water-skiing, email service, swimming: There will be various tables with information on additional programs, such as our waterski program, our Bunk1 one-way email service, and our swim program. Please stop by these tables to confirm registration in, or inquire about, these activities. You will also have the chance to confirm your camper’s birthday and verify your contact emails and listings for people authorized to pick up your camper from camp. » Payments: All balances should be paid in advance, no later than May 1, or upon registration. Please confirm the status of your account in our camp office. At this time, you can also confirm your camper’s store account, and add any extra funds. » Camp nurse: The camp nurses will have a table to meet parents, double-check the status of your camper’s medical forms, and to accept any medications and/or vitamins you wish to have administered to your camper while at camp. Campers must have complete medical forms in order to come to camp. Campers will also undergo a lice check by trained staff members. » Meet the camper care staff: Before finalizing check-in, feel free to meet our Unit Directors and our Camp Advisor. Our Unit Directors and Camp Advisor will be available to greet you and your camper, and to discuss any issues you would like to address. » Camp Store: You may visit our camp store with your camper to purchase items using cash, check or credit card without accessing your camper’s store account. Camp store accounts will not be accessible by campers until the first full day of camp. » Lunch: Feel free to enjoy a cold lunch buffet, prepared for campers and families. » Changeover: If your camper is coming back to camp from a previous session and you arrive after the conclusion of check-in for new campers, please proceed directly to our office so we can follow proper check-in procedure. » Swim Tests: After check-in, campers will proceed from their cabins to our waterfront for their swim tests. » Good-Byes: Please say goodbye in a timely fashion to help your camper begin a smooth transition into camp life. Campers and adults are welcome to visit our camp store while on camp to buy stamps, postcards, souvenirs, clothing and apparel, limited amounts of snacks, and other supplies. Campers will not carry cash and may draw on camp store funds deposited towards store accounts during the registration process. We have found that approximately $40 is sufficient for a two-week period. If you have not already done so and would like to set up an account for your camper, please contact our office. During camp, campers may visit the store once per day, but are only restricted in their food purchases. Please counsel your camper on proper spending habits in order to ensure that their camp store funds will be sufficient for their stay. Additionally, store funds may only be applied towards purchases in the store, and cannot be used to fund laundry fees, field trip fees, or other incidental expenditures. Parents will be billed and notified separately for these expenses. Remaining funds can be donated. Donations can go either to our Annual Campaign which provides financial assistance to campers and a general subsidy to all of our youth camp programs, or to our Hi-Rock Forever Fund to improve camp facilities and equipment. Leftover amounts can be refunded. If you paid via check or cash, the refund must go through our corporate office and can take up to 90 days, regardless of amount. Store funds which are left unprocessed will be automatically saved as a system credit to your account for balances under $15. For balances above $15, families will be contacted. Laundry service is only available for campers staying for more than 2 weeks and have a completed laundry contract. Pick-up times will be announced to campers in advance. Laundry will be sent to a local laundry service, washed, dried, and folded. Parents will be charged approximately $1.50 per pound of laundry, and will be notified at the end of the camper’s stay. It is the camper’s responsibility to organize his/her laundry. Please provide campers with a large, durable laundry bag that is clearly labeled with your camper’s name. If no bag is provided, we will purchase an inexpensive bag on your camper’s behalf and will charge the cost of the bag to the camper’s store account. Your camper’s name may be written directly on the bag for identification. Daily medical care is provided by the camp nurses, in accordance with standing orders from our consulting medical practice, Macony P.C. Our nurses are available 24 hours a day. Sick call is held four times daily for mildly ill campers. First aid kits are kept in all program areas as well as in the campers’ living areas, and are also carried on hikes and overnight campouts. The majority of first aid will be administered by medical staff; however, the general staff are all trained in CPR and First Aid and will administer first aid when necessary. All prescription or non-prescription medications must be handed to the camp nurses in their original containers, and placed in a labeled bag, on check-in day or the first day of camp. Medications must be accompanied by a Medication Administration Release Form. All medications, including vitamins, are to be administered under the direct supervision of a camp nurse. These medications will be locked in the camp infirmary when not required. Should a medication be required to be kept on a camper’s person, a physician must provide written authorization for the medication to be kept with the camper at all times. Medications will only be administered once the camp nurses have approved the prescription as detailed on the Medication Administration Release Form. The nurses may administer other nonprescription medications according to our standing orders if needed by your camper during their stay, provided you have not indicated an allergy to such medications on the Medical Form. (Resident Camp): Nurses may also administer prescription medications prescribed by a local physician during your camper’s stay. At least one of our registered nurses will be on camp at all times, and our counselors are certified in CPR and First Aid. If any serious accident or illness occurs at camp, we will administer medical care and contact parents as quickly as possible. If parents are not available, we will call the emergency contacts listed on the registration form and the medical form. If necessary, campers will be taken to a hospital or doctor’s office for further treatment. In the case of minor accident or illness, parents will be informed if the camper requires an overnight stay in our infirmary, or is required to be seen by a doctor. Parents will not be called every time campers visit our infirmary. The Camp Hi-Rock staff and camp nurses will make every attempt to create a positive experience for your camper in the event of injury or illness. However, in the event that we are unable to accommodate a camper who is ill or injured, parents must have a firm plan prepared to arrange for their camper’s pickup by someone authorized in advance on the registration form or through subsequent correspondence. The parents, emergency contact, and/or other authorized pickups must be available to pick up their camper if deemed necessary by the camp staff. (Day Camp): Because of their proximity to camp, local parents, when contacted, may wish to pick up their campers and take them to their own pediatrician to avoid any unnecessary complications regarding medical care. Please note that YMCA Camp Hi-Rock does not provide insurance for campers. Parents should include all health insurance information with medical documentation; any fees incurred as a result of medical treatment will be applied to the parent’s bill at the end of the summer. Although there is no official visiting day, parents of campers staying for more than 2 weeks are welcome to visit their camper on the Saturday between two-week sessions; please refer to registration material for these “changeover” dates. When you arrive, check in at the office. If you will be taking your camper off camp, it is necessary for you to sign him/her out to facilitate an accurate count of all campers on camp. For this same reason, we ask you to sign your camper in when you return. You must have proper identification and be authorized on your camper’s registration form to take that camper off camp. On these changeover Saturdays, parents may take campers off camp for the day or for an overnight visit, returning by 3pm on Sunday. Days other than changeover days are not appropriate for parent visitation. Please contact the camp office with any concerns you may have by phone or email rather than visiting in person to allow your camper to remain fully engaged in the sleepaway camp experience. You will learn the name of your camper’s unit during check-in. Please allow approximately four days for mail to travel in either direction. Even express mail takes up to three days to arrive, so please plan accordingly. If you send any correspondence via overnight or other priority mail services, please indicate a waiver of the signature requirement to expedite delivery. Failing to do so can increase delivery time by up to two days. Your camper will be encouraged, but not required, to write home. Please do not expect too many letters, as camp is a very busy place. We suggest you pre-stamp and address several envelopes or postcards for your camper to mail home. During camp, stamped mail can be dropped off at our camp store or our camp office. Stamps, postcards, and envelopes are available at our camp store. You will learn the name of your camper’s unit during check-in. If you do not know your camper’s unit name, please contact our office or leave it blank, as incorrect unit names will increase the chance of mail being misplaced. Care packages: PLEASE DO NOT SEND FOOD CARE PACKAGES TO CAMPERS! Having food in the cabins attracts raccoons, mice, chipmunks, and other animals into your camper’s living area. Please respect camp policy and do not send packages of food to your camper. Camp Hi-Rock will inspect packages for campers’ safety. Any food sent to camp will be donated to local community centers or discarded. Phone calls: Campers may not make or receive phone calls. If you would like to hear how your camper is doing, you may call our office and request that your camper’s Unit Director call you back. In special circumstances, arrangements can be made for you to talk to your camper’s counselor or to the Camp Advisor, whose duties are to help campers and staff with any problems or issues. Please make sure your camper understands that he/she will not be allowed to call home. Saying otherwise causes distress and contradicts camp policy. Campers may not bring cellular phones to camp. Email: YMCA Camp Hi-Rock has a relationship with Bunk1, a third party who will provide email services for our camper parents. Through Bunk1, parents can send email to their campers quickly and easily with the option to send a “bunk reply” to your camper which they can write on and return to the office. Emails will be distributed in the same fashion as regular mail. All emails sent before 10am each day will be processed and distributed that afternoon. Detailed information on Bunk1 will be sent out in the spring; you can learn more by visiting the Bunk1 website. Each two-week session we will have a Family Night. This is an opportunity for parents to visit and experience Camp Hi-Rock. The day and the activity will be announced at the beginning of the session and may include a family cookout, a hike on one of our beautiful trails or even a low ropes challenge. Our camp store will also be open at this time if parents wish to make cash purchases of clothing and apparel, food and drinks, or souvenirs. Day Campers in Bobcats (the middle unit) and Falcons (the oldest unit) can extend their Hi-Rock experience by staying for an overnight the second Thursday of each session. The weekly newsletter will include a permission slip, which needs to be returned the Wednesday before the overnight, as well as a packing list for items to bring to camp that Thursday morning. The Day Camp staff will produce a regular newsletter for parents over the summer. These newsletters will highlight planned events, such as our Family Nights or overnights, announce weekly themes, review highlights of the previous week, and introduce some of the staff members. A copy of the newsletter will be sent home with campers each day that they are produced. If you do not receive a copy of the newsletter, or would like to be sent additional copies, please contact the Day Camp Director by calling (413) 528-1227 x 3003 (during the summer only). The camp office will do its best to stay in frequent communication with Day Camp parents regarding any changes to the program, its policies, or procedures. Because we will be constantly making changes to meet your needs and interests, please carefully read any updates we send you, either through your camper or separately through the mail. You are always welcome to contact our office and leave a message for the summer Day Camp Director, who will be happy to call you back and speak with you within 24 hours. Please contact the Day Camper Director if you know your camper will not be at camp. Also contact the Day Camp Director if your camper will be dropped off or picked-up at camp, has a change in bus stop location, or if you are running late. You may email at daycamp@camphirock.org or call (413) 528-1227 x 3003. Your campers are automatically enrolled in our meal plan unless otherwise indicated on the registration form, or by contacting the office by June 1. Our meal plan includes 5 fresh lunches each week, provided by our camp chefs and kitchen staff. Please contact our office before the start of the session with any questions. If you opt out of the meal plan, you must pack a lunch for your campers, but please be aware that refrigeration is generally not available for bag lunches. YMCA Camp Hi-Rock is a nut-free facility; please do not send any food containing either peanuts or any other nuts to avoid endangering the health of campers with nut allergies. If you have questions about the food service program at Camp Hi-Rock, or would like to hear from our food service coordinator, feel free to call us at (413) 528-1227. Campers will receive a light snack in the afternoon before leaving camp. As part of the “Activate America” YMCA movement, YMCA Camp Hi-Rock is committed to promoting healthy living and nutrition. For more information, please visit the Activate America website. Open Houses and Tours: Camp Hi-Rock will hold Open House events in the spring for families who would like to visit camp before the beginning of summer camp. If you are unable to attend our Open Houses, but would like to familiarize yourself with the buildings and layout of Camp Hi-Rock before the start of summer camp, you and your family are welcome to contact us to coordinate a visit. Please call our office in advance to arrange a tour. Often, homesickness lasts only until the camper becomes adjusted to the camp schedule. Our staff members are trained to aid campers in becoming adjusted as quickly as possible. However, if you suspect your camper may experience some homesickness, you can help his or her transition by saying goodbye promptly during the first day of camp. Please refrain from making a fuss or from suggesting that your camper might become homesick while in his or her presence. Please do not call camp expecting to talk with your camper. If you wish to hear how your camper is doing, you may contact our office and ask to hear back from your camper’s Unit Director. In both our experience and that of other camp professionals, homesickness is aggravated, rather than reduced, by calls from home. It is for this reason campers are not permitted to receive phone calls. The Camp Hi-Rock staff will make every attempt to create a positive experience for your camper. However, in the event that the Camp Director determines that a camper may not remain at camp, parents must have a firm plan prepared to arrange for their camper’s pickup by someone authorized in advance on the registration form or through subsequent correspondence. The parents, emergency contact, and/or other authorized pickups must be available to pick up their camper if deemed necessary by the camp staff. If your camper is prone to wetting the bed, please notify us in advance. Our staff can work discreetly with mild cases and cooperative parents and campers to help provide a normal camping experience. For more information, please contact our camp office. It is critical that parents read through this document with their campers, and that everyone understands the nature of these standards before coming to camp. Please contact our office if you have any questions or concerns regarding our expectations of camper conduct. Violations of the Camper Code of Conduct are grounds for removal from camp, without refund, at the discretion of the Executive Director or the Camp Director. Staff members must sign and abide by a similar code of conduct while at camp. » If you are picking your camper up from camp, please plan to arrive between 9:30am and 11:30am. » Please be very careful to drive slowly and carefully when driving up the mountain road. It is easy to forget the speed limit on such a beautiful, winding road, but there are children living along the road and neighbors walking at all times of day. » When you arrive at the camp entrance, proceed to our main gate next to the maintenance buildings. Please bring proper identification; you must be authorized in advance in writing to take anyone off camp. At the main gate, you will receive a “Check-Out Checklist” with the following steps. » Please proceed directly to our office so we can confirm you as an authorized pick-up for your camper. Once we have confirmed you and signed out your camper; you will receive a ticket allowing you to take your camper off camp. You should hold on to this ticket until you leave camp. » If you have any outstanding account balance, you should make final payments at this time. » If your camper has been taking any medications, please stop by the infirmary next to the office, and pick up any unused medications. Any medications not picked up may be shipped home at the parents’ expense. » At this point, head towards your camper’s unit area. You will be able to meet and speak with your camper’s cabin mates, counselors, and Unit Director, who will help you bring your camper’s belongings to your vehicle. Please show your authorization ticket to your camper’s counselor upon arrival in the unit. 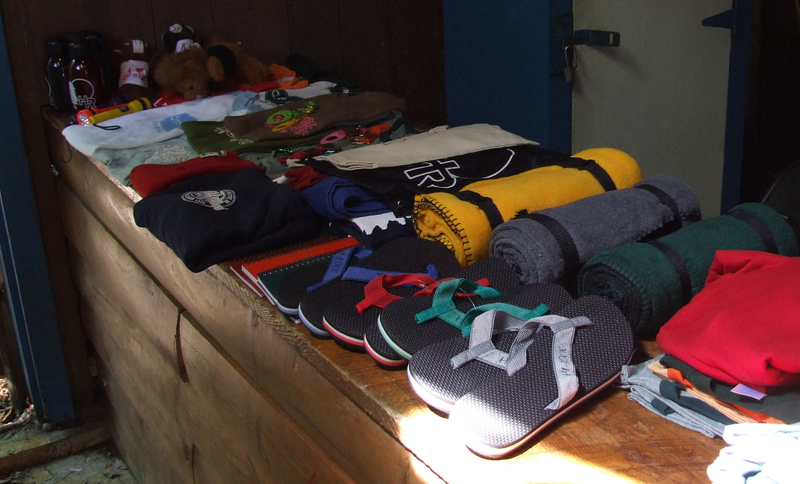 » Please check in front of the dining hall with your camper to view our collection of Lost and Found, especially if he/she knows of any misplaced belongings. Lost and Found items will be washed and sent to Goodwill after each session. If your camper loses something of significance, please let us know and we will do our best to locate it and contact you. YMCA Camp Hi-Rock cannot be responsible for any lost clothing or items. » Before leaving camp, please visit our camp store to close your camper’s account, and to pick up any summer souvenirs. While there, please indicate what you would like to do with any remaining camper balances. Remaining funds can be processed in two ways; please read the “Camp Store” section for more information.